When you create quizzes for the LMS, it is important that you publish the quizzes to Adobe Connect (AC) and not simply upload them. This article describes the settings involved and how to configure them before you publish, so that AC will capture and report the scores properly to the LMS. The the steps required to publish successfully are also shown. 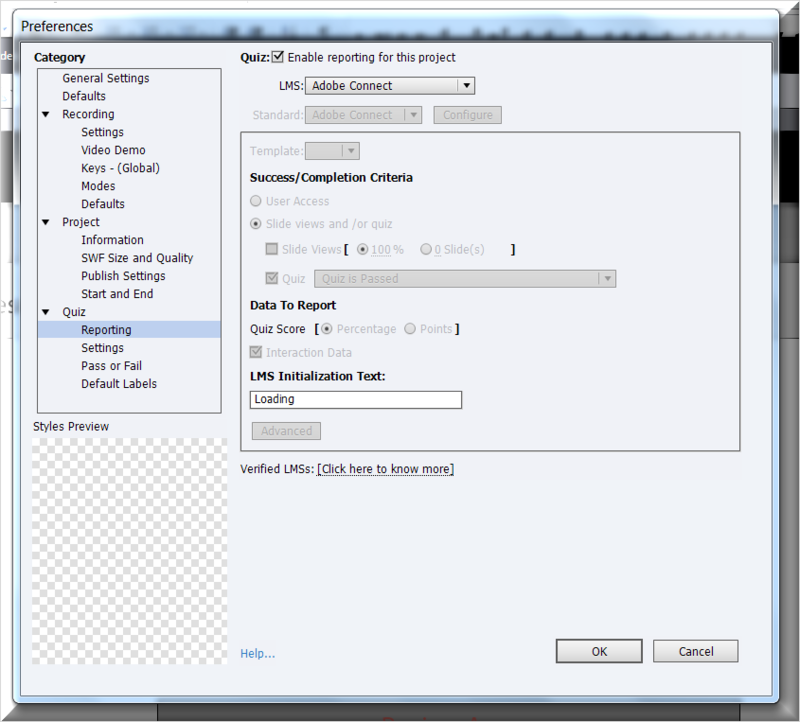 As of Adobe 9, any Named Meeting Host or Author in AC can publish quizzes to the AC content library. Although the examples below reference Adobe Captivate, the settings are similar for Adobe Presenter. Both can be used to create and publish quizzes. The concepts are similar for other programs that create quizzes and SCORM. Under Data to Report, percentage is the default when Adobe Connect is selected. Interaction Data is also the default setting. 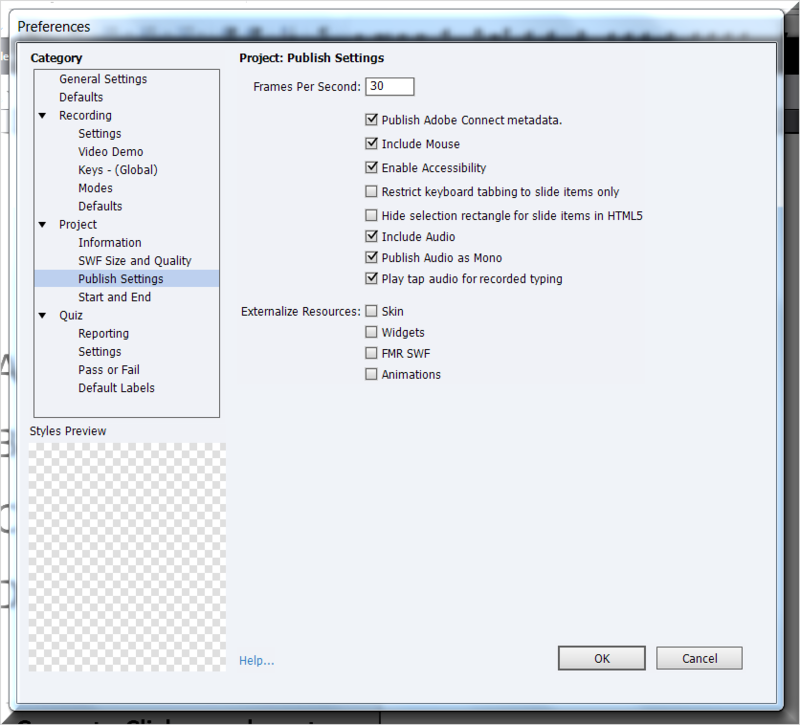 On the same menu location as Quiz Reporting, go to Project>>> Publish Settings. For Frames per second, the default of 30 is appropriate inmost cases. 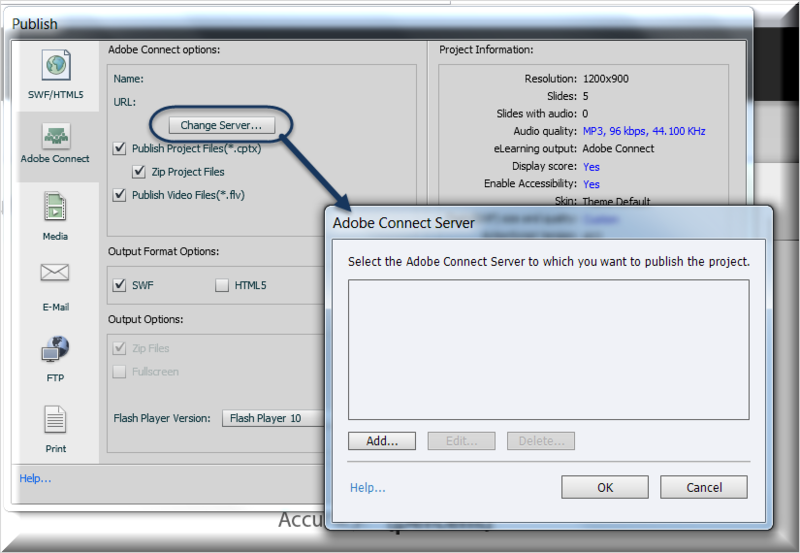 For Publish Adobe Connect Metadata–this adds information to your Adobe Captivate project file (SWF) that makes it easier to integrate the project into Adobe Connect. 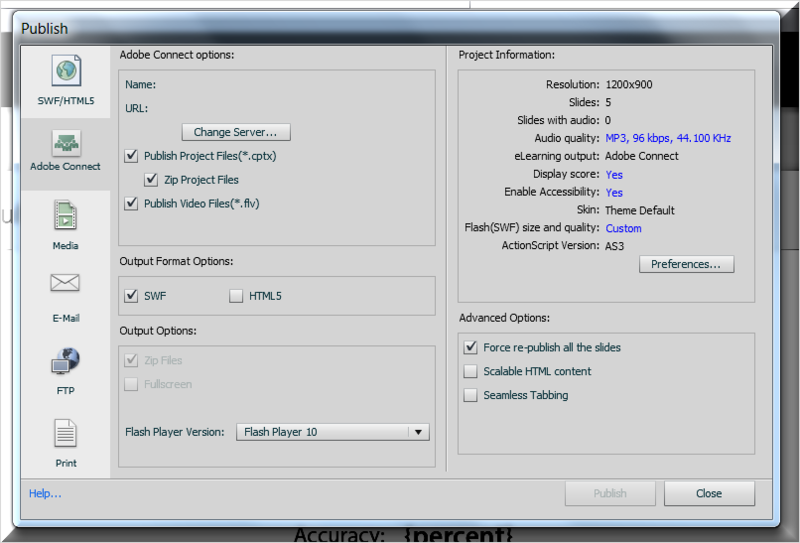 The embedded data links the Adobe Captivate CPTX file to the SWF file when you publish the project to the Connect Server and make sit easier for the Adobe Captivate output file to be found during searches. You will have to add the URL only once; thereafter it will appear in the URL line and the Adobe Connect Server pop-up. Force re-publish slides: If at anytime you find that the publish output does not match what is expected, a fail safe option is provided. This is available in the Publish dialog as Force re-publish all the slides. Selecting this option would force the incremental publish engine to publish all the slides whether they are modified or not.